Need lightweight, practical protection while you’re exploring? Gear up in your own ladies’ gilet. 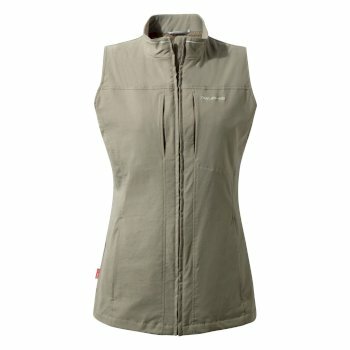 A dependable companion perfect for taking to the trail, explore our range of gilets for women today. Tested in the harshest conditions, our gilets for ladies are proven to provide that high performance protection that’s so important for your next adventure. Practical and lightweight, our women’s gilets are designed to keep your core warm and your arms free. Fill up handy pockets with bits and bobs essential to your hike – our multi-functional women’s body warmers mean you can keep your travel items safe and secure while you’re outdoors. 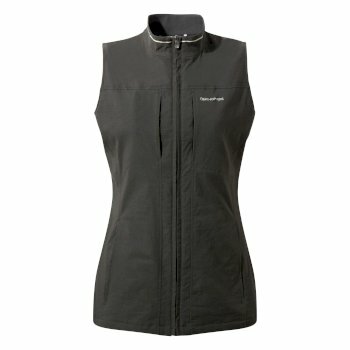 Choose Adventure Fit gilets for ladies for a regular cut with ease of movement, allowing you care-free exploration at every turn. Irritating critters getting in your way? Leave the biting bugs in the past and move forward with anti-insect clothing. Our ladies’ body warmers incorporate technology such as SolarShield to protect you from harmful UV rays, ClimaPlus for added warmth, and built-in Insect Shield technology to keep mosquitos away. Woven into the fabric of each garment, our anti-insect technology won’t wash away or fade, meaning it lasts as long as your ladies’ gilet does. Gear up and get outside – your gilet has you covered. . Spotted the perfect women’s gilet for you? Complete your outdoor essentials with hiking trousers, boots and waterproof jackets too. Shop our full women’s outdoor clothing range today.